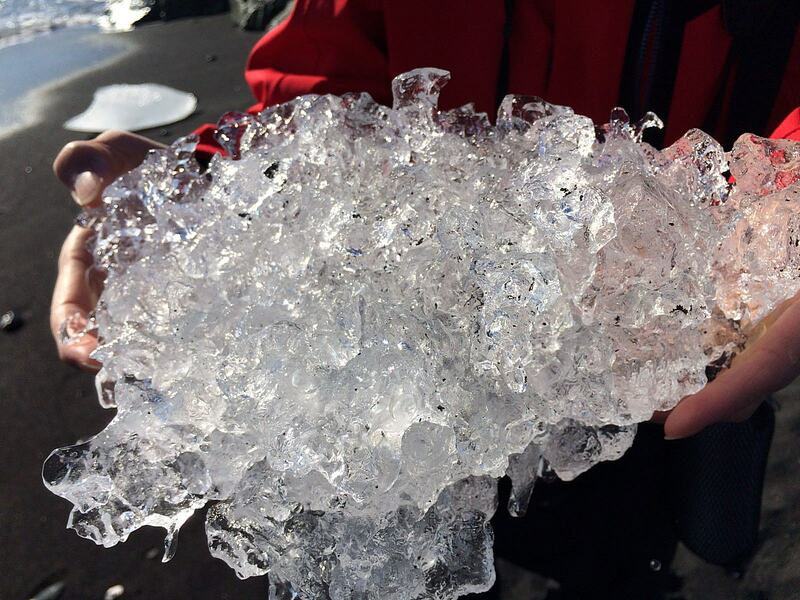 It is only to be expected to see ice in Iceland. They look so fresh and shiny. Many a tourist would try touching them or grabbing them to feel what it is like. Photo taken by my wife Linda.